There are so many things for tourists to enjoy in the area around Cairns, but don’t forget to check out the city itself! 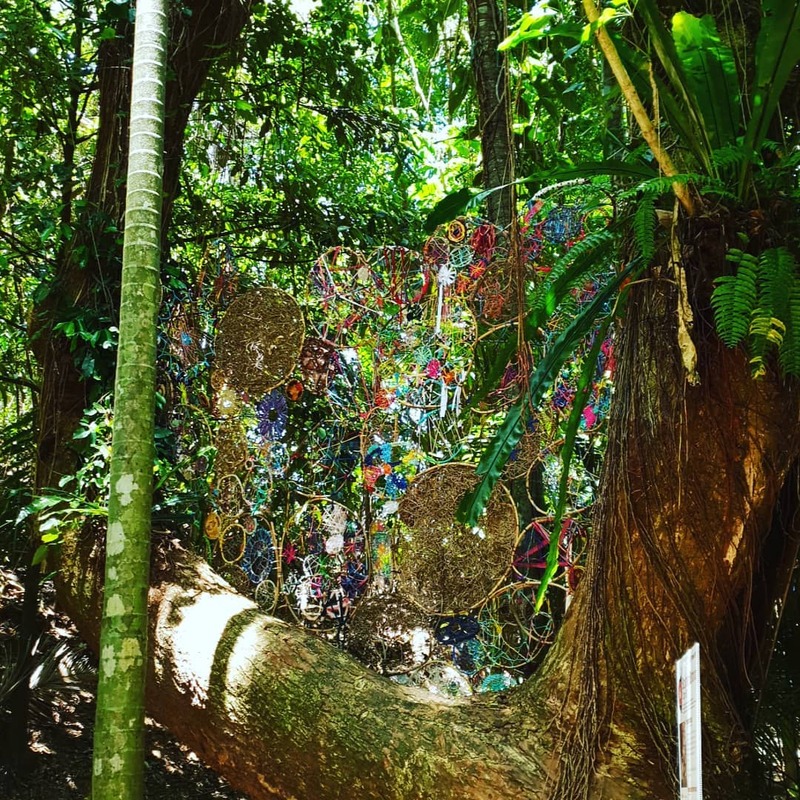 The city has an abundance of activities that any kind of traveler can enjoy, and among those activities is a visit to the Cairns Botanic Gardens. Today, we will take a closer look at this wonderful place. It’s definitely a great place for anyone who loves to explore the environment. Cairns Botanic Gardens is an excellent display of the numerous type of flora and fauna that the Tropical North Queensland has to offer. The Gardens are just outside the center of Cairns. It’s home to a wide variety of unusual plant species, and a number of the plants can give you a prehistoric feel. At Cairns Botanic Gardens you can find some of the world’s rarest plants: among them, the Amorphophallus Titanum, a giant flower that can weight up to 70kg. At the Cairns Botanic Gardens, you can also find numerous species of birds and butterfly. It’s an absolute blast here! 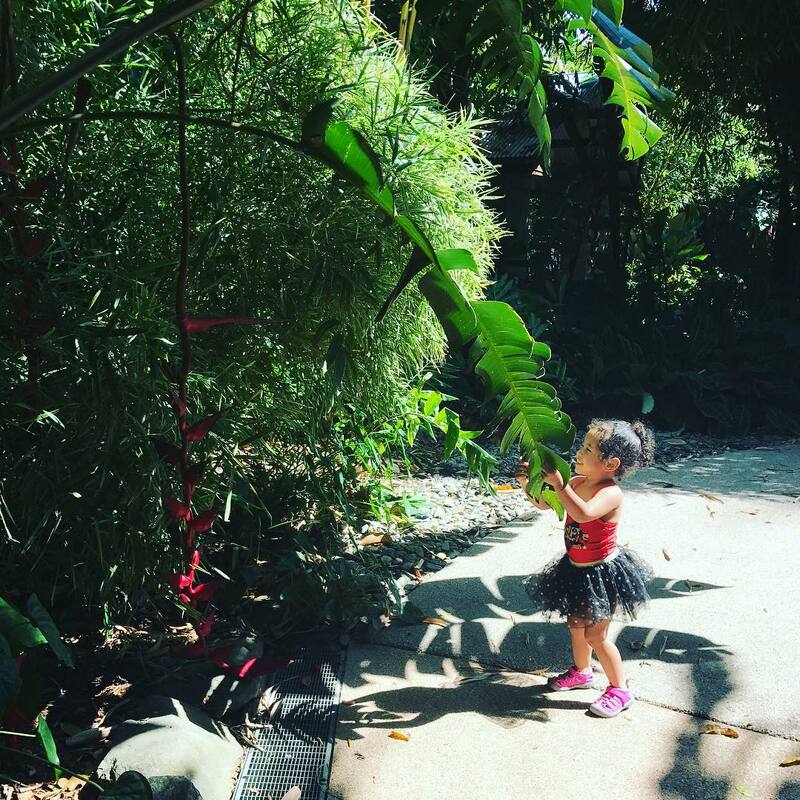 Cairns Botanic Gardens is extremely well maintained, and it’s designed in a way that gives visitors a great time despite the typical Cairns heat. There are multiple shaded areas in the garden, so you and your family can cool down if it ever gets too hot outside. The Cairns Botanic Gardens are also very compact, so navigating around the Gardens is very easy. Despite its compact size, there are still large and open areas to enjoy a picnic or have lunch. The Gardens is divided into five sections with unique features. There are more than 4,000 tropical plant species on display at Cairns Botanic Gardens. Many of them are specially labeled for different purposes. The staff here is very friendly and helpful, so if you’re in need of information, just ask them. The Gardens also provides a number of walking tours through the gardens. There’s also interactive touch-screen and iPod that you can rent to start your guided tour through the gardens. The Gardens is just around 4 kilometers from the city center. You can find the gardens on Collins Avenue, Edge Hill QLD. It’s open 365 days a year and from 7.30 AM to 5.30 AM. So if you’re in the city, definitely pay this place a visit. If you didn’t figure it out yet, the Cairns Botanic Gardens is brimming with excitment. It houses rare species of plants and birds from around the world. If it’s your first time visiting, you may feel a bit confused. So here are some suggestions on what to do at the Cairns Botanic Gardens. The gardens provide a vast selection of tours for many different audiences. These are also the best activities if you want to explore and learn more about the environment here. There are multiple choices of tours for you to choose from, the most popular being the free guided tour. With this tour, the friends of Cairns Botanic Gardens will conduct a free tour of Flecker Gardens. The tour starts at 10 AM and takes place from Monday to Friday. It lasts for around 60-90 minutes. On this tour, the key areas of the Gardens will be the highlights, among them, you can see the Conservatory and the Aboriginal Plant Use section. For casual visitors, this tour is the absolute best choice. If you’re interested in joining the tour, just meet up with the guide outside the Friend House. It doesn’t require booking, so just walk up and start your adventure. There’s also the private tour for groups. This option is great if you’re traveling in a group or with family. The Friends of Cairns Botanic Gardens also conduct these tours. You and your group can discuss the requirements for the tour with the guide. You can change the starting time, the duration, specific interests, and any special needs. 6 or 7 people in one group is the best ratio for a great and interactive tour. These tours require pre-booking so hurry up if you want a spot. You can book by contacting the Friends of Cairns Botanic Gardens at +61 (07) 4032 3900 or email fobgcairns@bigpond.com. Another great option for touring are the audio tours. 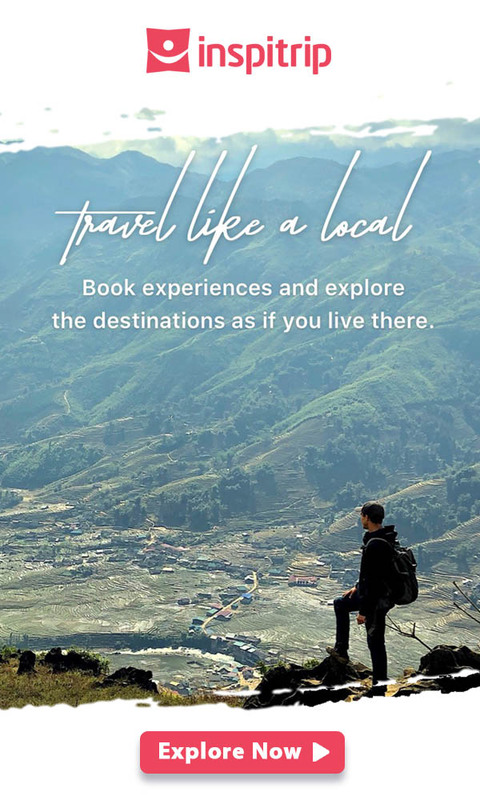 These tours allow you to be your own guide. It has a downloadable map of the gardens that can help you navigate around. The map also contains reference points for the colored markers mounted on plant identification posts, corresponding to the audio track. It’s easy to download or share the audio files on your mobile device. Simply click the play button located on the media player screen of each tour. If you’re traveling with children and you want them to learn something new, this is definitely a great choice for you. It’s never too soon for you to develop a green thumb. At the Cairn Botanic Gardens, they provide a program called Little Taccas. The name of this program is inspired by the Tacca Integrifolia, a plant that mainly lives in the jungles of Central Asia. The main goal of this program is to help your children appreciate nature and gardening. The program is mainly aimed at children under five years old. It features activities that take place in the natural world of Cairns Botanic Gardens. In the program, your children will enjoy activities like art and craft, storytelling, sing-alongs, and garden discovery walks. The program takes place every 2 weeks on Thursday at Cairns Botanic Gardens. From 10 AM to noon your children will enjoy a plethora of kid-friendly activities. It will help them enjoy nature more and even give your child exposure to the wonders of gardening. The number of children in each program is capped at 15 and there are 5 stand-by positions. So if you want a spot for your kids, you better act fast. You can visit the Cairns Botanic Gardens website to have more details on the booking of this event. Just make sure that you enter the information on the registration form correctly and you will be good to go. The Cairns Botanic Gardens, just like any other great botanic gardens have a large number of birds. If you’re into birdwatching or just interested in birds in general, then the Cairns Botanic Gardens is a place for you. 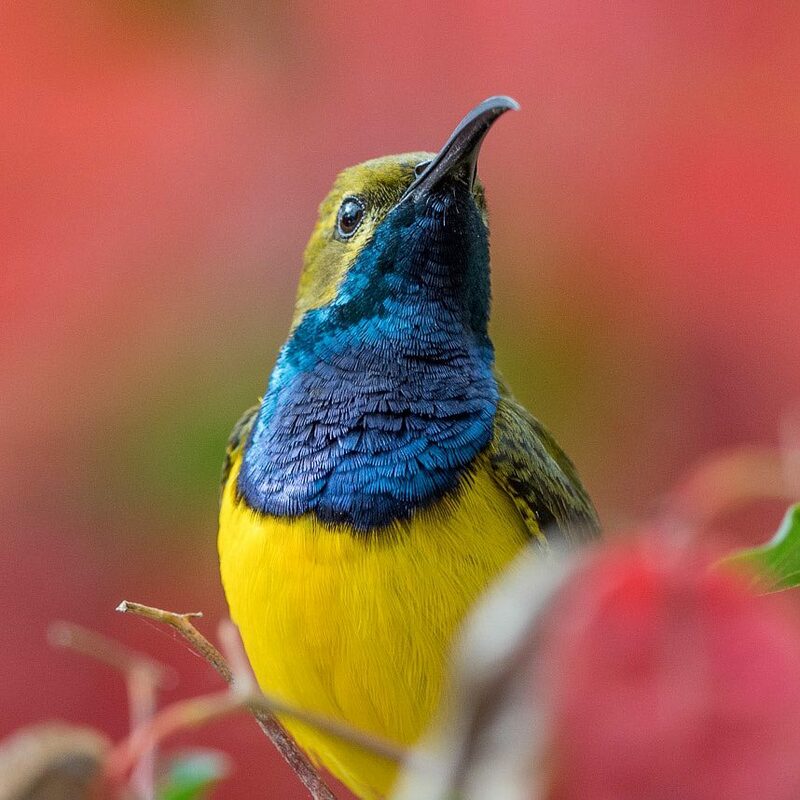 At the Friends of Cairns Botanic Gardens house, every Tuesday at 8.30 AM, a birdwatching tour will commence. The tour will take around 2 hours of your time, and on this journey of observing flying wonders, you will have the chance to see birds native to Australia. At Cairns Botanic Gardens, there are over 40 species of birds, each having their own unique features. The tour will involve a lot of walking, so remember to wear something comfortable. Depend on the season, the cast of feathered character will also change. One important thing is that you do not feed the birds. It will create a habit and make them ignore their natural way of finding food. And one more thing, if you want a closer look at the birds, I recommend you bring your own binoculars. Other than that, have a wonderful time exploring and observing! Aside from the wonderful environment and atmosphere, the Cairns Botanic Gardens also offer great food. The Gardens have a dedicated cafe section and picnic section, so you can choose where to have your meal. There are two cafes in the Cairns Botanic Gardens, the Botanic Gardens Restaurant Cafe and the TANK sixty four. Tourists can find the TANK sixty four right next to the Visitor Center. It’s open 7 days a week from 7 AM to 4:30 PM. It also serves dinner from 6 PM on Saturday and Sunday. You can find the Botanic Gardens Restaurant Cafe inside the Flecker Gardens. This cafe serves fresh and delicious local food. The cafe is open from 7 AM to 4:30 PM, 7 days a week. It’s also a award winning cafe, with its famous “Eggs Benedict” and “Scrumptious Waffles”. The Botanic Gardens Restaurant Cafe has served the people of Cairns quality food for a long time, and the place is designed to take advantage of the cool breeze, so it’s always 5-10 degree lower than the surrounding area. If you’re at the Gardens early in the morning, why not drop by to have breakfast? 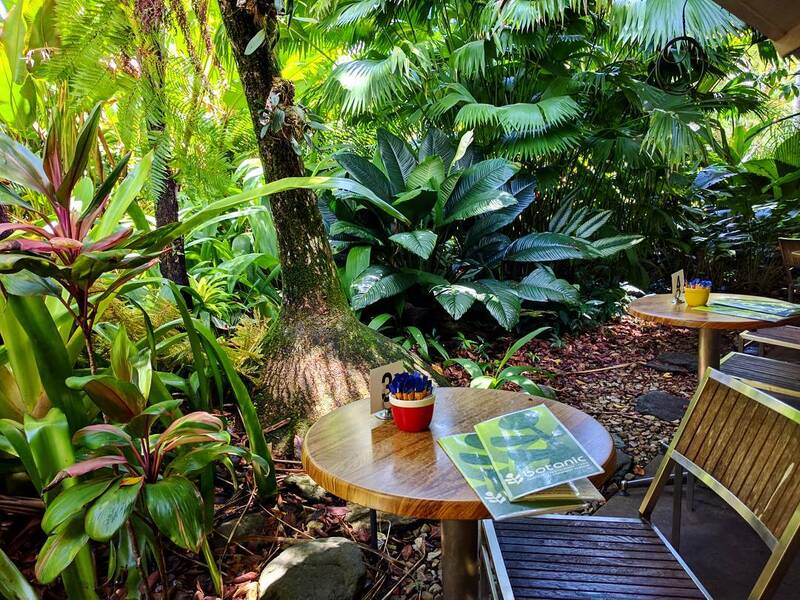 It’s definitely a great way to start your day and your adventure at Cairns Botanic Gardens. 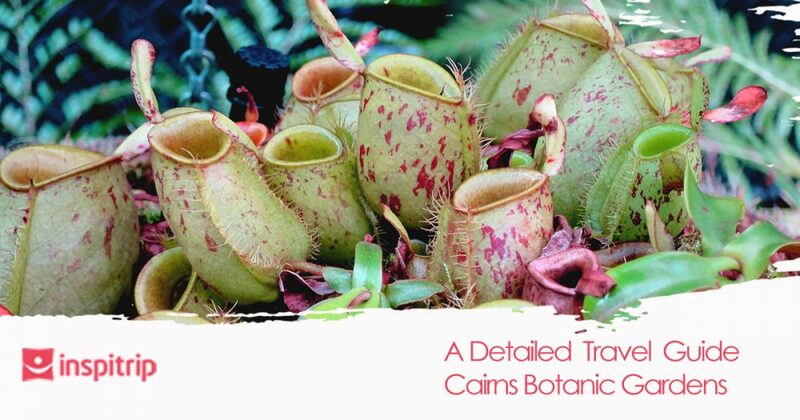 There are a few things that you need to know before going to Cairns Botanic Gardens. To ensure yourself a great adventure, please note these things. The Gardens is open every day from 7:30 AM to 5:30 PM, and the time can change due to weather conditions. The visitor center is open from 8:30 AM to 4 PM on weekdays and from 8:30 AM to 1 PM on holidays. The center also closed on Christmas. Please note that no dogs will be allowed in any parts of the Cairns Botanic Gardens. The admission to the park is free, so you don’t have to worry about anything. Just make sure to have yourself a great time here. And if you have any further questions you can contact 4032 6650.